Why should people with acne reduce their intake of dairy? Here are the four biggest reasons! Most dairy on the market comes from pregnant cows. When you pour milk into your cereal or add cheese to your salad, turns out you're ingesting more than 60 different hormones (yikes!). Many of these hormones, particularly IGF (Insulin-Like Growth Factor), have been shown to increase the size and activity of the sebaceous glands, leading to more acne breakouts. Lactose is essentially a fancy word for milk's sugar. It has what’s called a “high glycemic index”, meaning it rapidly raises blood sugar. This, in turn, can cause a cascade of hormonal effects that ultimately lead to the formation of pimples. As with other animal products, dairy—especially cow's milk—contains inflammatory factors. This is especially true in products that contain whey and casein, such as protein powders, protein drinks, and protein/energy bars. For those struggling with inflammatory acne, the last thing you want to do is add anything that could make the inflammation worse. Have a friend who developed a dairy intolerance as a teenager or an adult? It's a real thing. While milk can be a great food source for babies and young kids, incidence rates of lactose intolerance have been shown to increase with age. For those who struggle with adult acne, lactose intolerance may be one of the main culprits. So, now that we're all mourning the loss of our favorite brie and latte, the good news is that there are tons of great, dairy-free alternatives on the market today! Try swapping the milk in your latte for almond milk, your greek yogurt for cashew yogurt, and sprinkle some nutritional yeast on your dinner instead of adding cheese...just be careful not to swap out all your dairy for soy products, which could do more harm than good (learn more about soy and acne here). 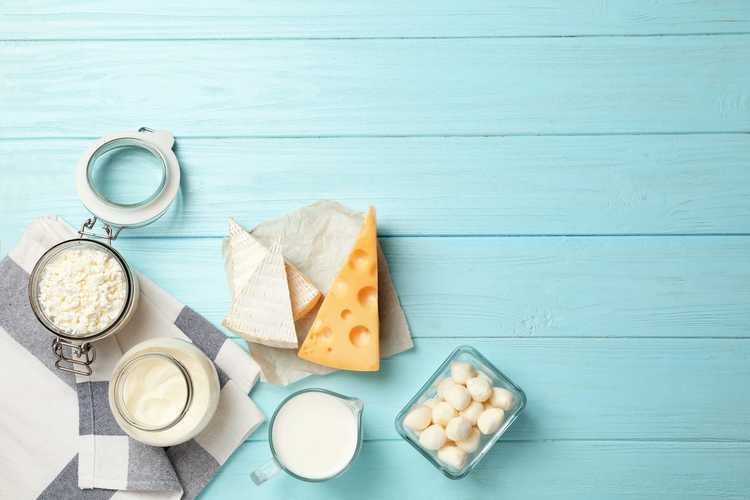 If you want even more information about how dairy can affect acne, the Journal of the American Academy of Dermatology did a super-interesting study about it. Researchers looked at the diet of 47,355 female high school students and found that women who had a high intake of milk had a higher prevalence of acne. Read more details about the study right here.